Indian Prime Minister Narendra Modi’s visit to the UK – a first visit by an Indian head of state for a decade – comes on the back of a heavy election defeat in the key state of Bihar. Modi is expecting an even greater reception in London than that which he received during a recent visit to the US, but he is a divisive figure. Church leaders and outspoken Christian activists have hailed the recent defeat of Modi’s Hindu nationalist BJP party as a “people’s verdict” against growing intolerance. “We salute the people of Bihar for rejecting the politics of hatred and division,” Rev. Roger Gaikwad, general secretary of the National Council of Churches in India (NCCI), told World Watch Monitor on 9 November. The BJP-led coalition won just 58 of 243 seats in the Bihar Assembly, while the state’s current ruling coalition (of Janata Dal United and Rashtriya Janata Dal) swept the state polls, winning 178 seats. 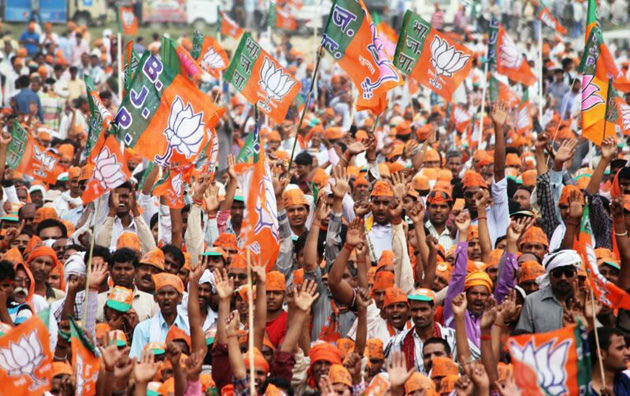 However, the BJP still gained the most votes for a single party – with almost a 25% share of the vote – and an increase from the state election of 2010. The victorious leaders, as well as national opposition leaders, promptly dubbed the BJP’s shock defeat a rejection of its “hate” politics, which pitched the Hindu majority against Muslims and Christians. The BJP-led coalition had led in 176 of the Bihar state seats in the 2014 Parliament elections, when it won the landslide victory which brought Modi to power. “This verdict is a clear message to the BJP that the people do not subscribe to its sectarian approach,” said Rev. Gaikwad, who heads the national forum of 30 Orthodox and Protestant churches in India. Outspoken Jesuit social activist Father Cedric Prakash termed the Bihar election result a “rejection of the divisive and communal politics of the BJP”. “The people have spoken out against the growing intolerance and the [BJP] government’s brazen act of justifying it,” said Father Prakash, who initiated a statement on intolerance by more than 100 prominent Christian leaders. Dozens of Christian leaders from different walks of life endorsed the exclusive statement against the growing “intolerance” by Hindu nationalists under the BJP government. “We denounce the sinister attempts … ultimately the attempt to undermine the Constitution of India,” said the Christian leaders, which included Catholics bishops and social activists – in a statement on 2 November, denouncing in “unequivocal terms the growing intolerance in the country”. This unprecedented statement by Christian leaders came after dozens of eminent litterateurs, artists, historians and scientists had returned their national awards to the government in recent weeks to protest against the intolerance and the government’s silence on it. Arun Jaitely, finance minister under Modi, dismissed the widespread protests as “manufactured” on behalf of opposition parties. However, international rating agency Moody said that India’s economic growth could be derailed by the actions of the BJP. India risks “losing domestic and global credibility” if it doesn’t rein in BJP members who make controversial comments leading to “ethnic tensions”, said Moody in its report, “India Outlook: Searching for Potential”. Raghuram Rajan, the governor of the Reserve Bank of India, told engineering students at the Indian Institute of Technology on 31 October that tolerance is essential to India’s economic growth – to attract foreign investors. Rajan urged the students to “fight” to protect “the tradition of debate in an environment of respect and tolerance” and said that, without this, there was no way to “keep the idea-factory open”. The Hindu, one of the major national English dailies, in its 9 November editorial, described the BJP’s heavy defeat in Bihar as “a vote against all forms of divisive politics of communal hate and religious intolerance”. “This is a rebuff to the BJP’s blatantly communal politics,” A. J. Philip, a senior national journalist for more than three decades, told World Watch Monitor. Sartaj Akhlaq, eldest son of Mohammad Akhlaq, who was lynched by a Hindu mob in September over rumours of beef-eating in Dadri, near New Delhi, hailed the Bihar verdict as “a tribute to my father”. 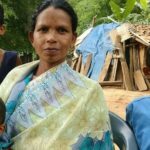 Mohammed Akhlaq was lynched and his younger son seriously injured after allegations of cow slaughter and beef-eating were made against him from the loudspeaker of the local Hindu temple. Amid the national outrage over the lynching, Manohar Lal Khattar, BJP chief minister of Haryana state stunned the nation with his remarks that beef eaters should go to Pakistan. “Muslims can continue to live in this country but they will have to give up eating beef. The cow is an article of faith here,” Khattar told the Indian Express. “They can be Muslim even after they stop eating beef, can’t they? It is written nowhere that Muslims have to eat beef, nor is it written anywhere in Christianity that they have to eat beef,” Khattar said. NCCI general secretary Rev. Gaikwad wrote an open letter to Modi on 28 October, hailing him as “a model for many 21st century persons who aspire to fame, position and power”, but reminding him that: “Needless to tell you, there is no such thing as a state religion of India”. Incidents like the lynching of Akhlaq, a Muslim near Delhi over concocted rumours of eating beef, the NCCI general secretary said, “should not be brushed aside simply by calling them ‘saddening’ and ‘undesirable'” – words Modi had used, which seemed to show his reluctance to condemn the murder.